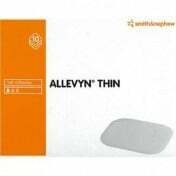 Allevyn Ag Gentle Soft Gel Dressing, by Smith and Nephew, are dressings with a soft adhesive that delivers antimicrobial properties through silver and by maintaining a moist, healing environment. These dressings will work after cutting them with scissors to match a wound shape or to allow the body better movement with a dressing. 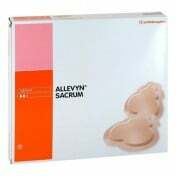 These wound dressings are made with highly absorbent material that utilizes the antimicrobial properties of silver (Ag). The Gentle Soft Gel Dressings are for exuding (oozing) partial or full-thickness wounds including pressure ulcers and ulcers relating to diabetes. The silver within the dressing retains the antibacterial properties for as long as a week. 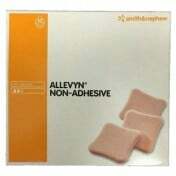 The Allevyn Ag Gentle Soft Gel silver dressings allow for a quicker heal time through several unique properties. 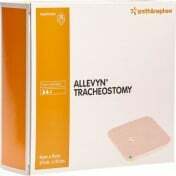 One of these properties is the dressing material maintains a moist wound environment, which makes it difficult for bacteria to grow and facilitates faster closure. Also, the dressings absorb exudate, or the fluid that oozes from the wound, but does not allow external moisture to enter. 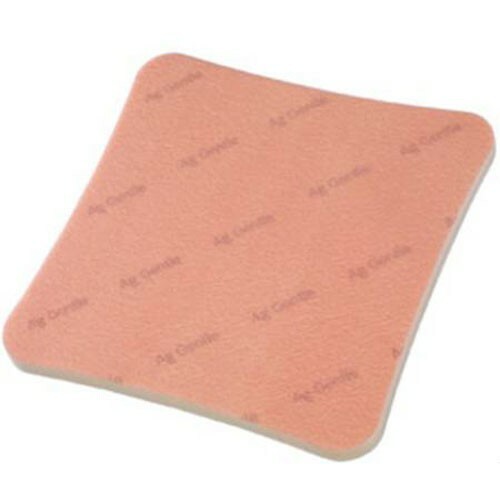 The wound dressings provide a barrier, yet come with a breathable top film and will help prevent over-moisturization of the skin (maceration). 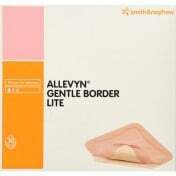 In addition, they are gentle and will provide a comfortable experience for those with sensitive skin. The dressings come in various sizes to match the wound area. 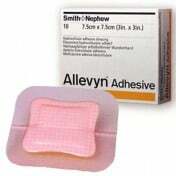 The suggested rate of changing the Allevyn Ag Gentle Soft Gel dressing is once every seven days, or until the exudate is viewed through the strikethrough nearing the dressing border. Dressing comes with silver that provides inherent antimicrobial properties. The Ag Gentle Soft Gel is easy to apply and painless to remove. The dressing material provides a moist environment that makes bacterial growth difficult. Dressing retains exudate fluid while protecting the wound from external moisture. It is waterproof and meant to stay on for several days.